Bournes are proud to have received recognition from some of the top consumer and industry organisations as one of the best removals companies and relocation providers in the UK for providing excellence in service. 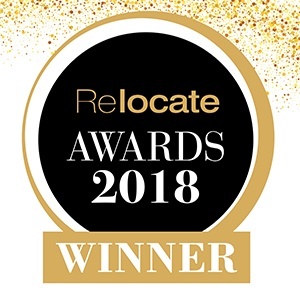 The Re:locate Awards are recognised internationally as one of the most prestigious relocation accolades in the industry, and have evolved over time since the awards began in 2007 to take into account feedback from HR and relocation professionals. Bournes International Moves were announced winners of the first ever BAR and Which? Trusted Traders Overseas Mover of the Year competition in 2015 and proudly won again in 2017! This award seeks to find the best International Removals Companies in terms of customer experience. Read more about our win of the most recent Overseas Mover of the Year award here.